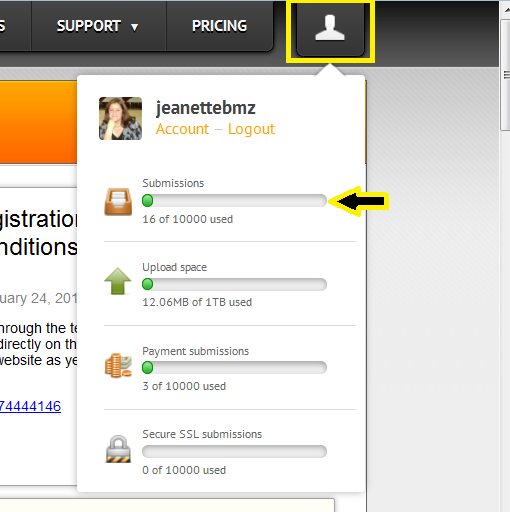 How can I find out how many submissions I've had for this pricing period. We've downloaded and deleted many of our submissions. I suspect this doesn't zero out our submissions, they'll continue accumulating for the month. HOw do I find out how many total submissions we've had for the current month? You can free up space by deleting uploaded files.